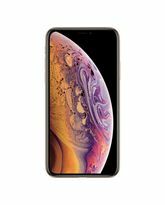 The iPhone Xs is the most advanced smartphone ever. But a gold colored phone won't do for you. You deserve and demand more. Better than the best, not like the rest. We've crafted a special phone for you. 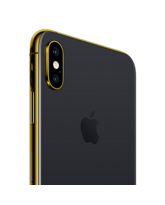 The 24K gold plated iPhone Xs. Exclusively by Switch. Since this is a bespoke product, please allow 12 working days for delivery. The iPhone Xs is the most advanced smartphone ever. But a gold colored phone won't do for you. You deserve and demand more. Better than the best, not like the rest. We've crafted a special phone for you. 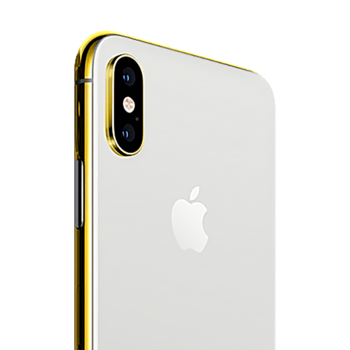 The 24K gold plated iPhone Xs. Exclusively by Switch. Since this is a bespoke product, please allow 12 working days for delivery. 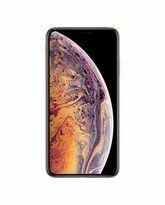 iPhone XS features a 5.8-inch Super Retina display with custom-built OLED panels for an HDR display that provides the industry’s best color accuracy, true blacks, and remarkable brightness. Advanced Face ID lets you securely unlock your iPhone, log in to apps, and pay with just a glance. The A12 Bionic chip with next-generation Neural Engine uses real-time machine learning to transform the way you experience photos, gaming, augmented reality, and more. A breakthrough 12MP dual-camera system takes your portraits to the next level with Portrait mode, Portrait Lighting, enhanced bokeh, and all-new Depth Control. Water resistance. 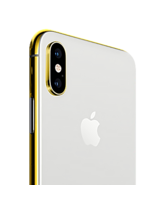 And iOS 12—the most advanced mobile operating system—with powerful new tools that make iPhone more personal than ever.